Want a bigger buzz? 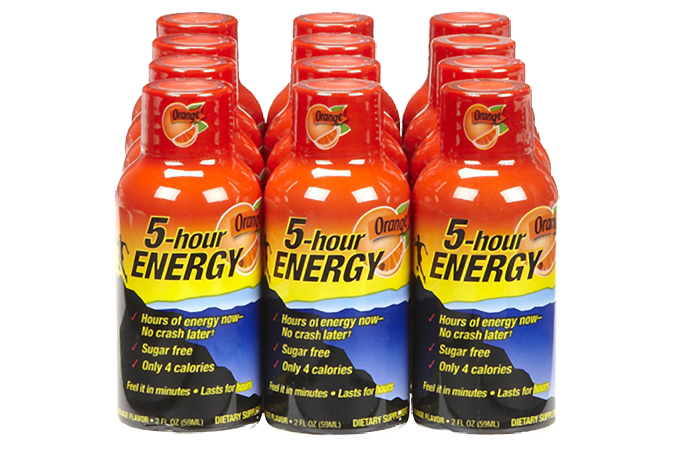 Extra-Strength 5-Hour ENERGY claims to have as much caffeine “as a 12-ounce cup of coffee.” No lab results are available, so it’s unclear how much caffeine this version actually contains. Warning: 5-Hour Energy has come under federal scrutiny as a contributing factor in 13 deaths, due to the high caffeine content and other ingredients. The company claims its product is safe, but the Center for Science in the Public Interest issued a 2012 report warning consumers to avoid it until the FDA can resolve safety issues.